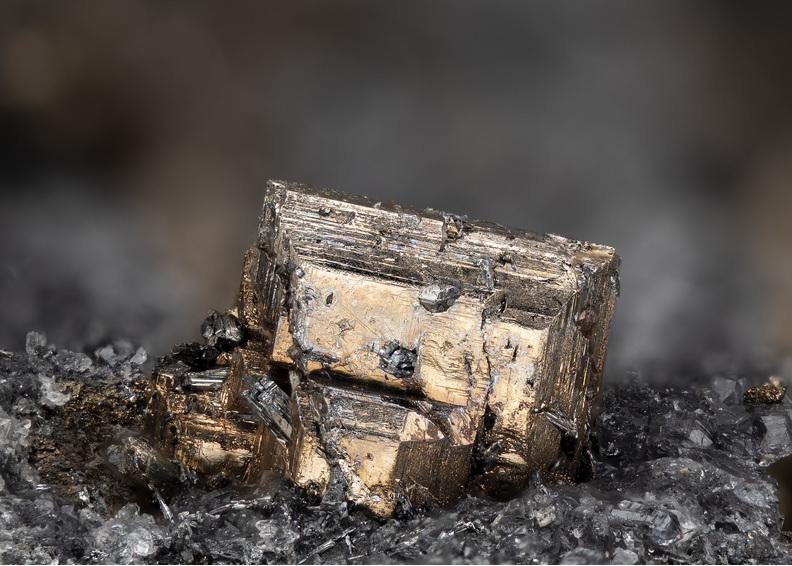 Hauchecornite: Mineral information, data and localities. 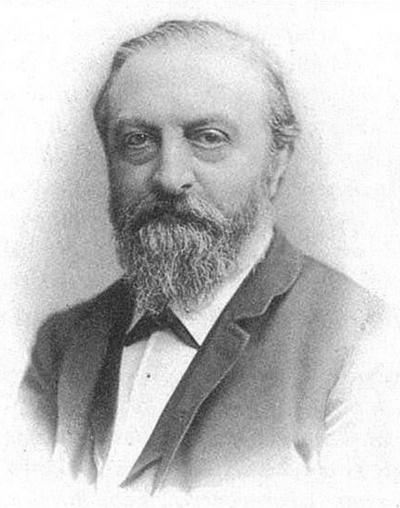 Named by R. Scheibe in 1893 in honor of Heinrich Lambert Wilhelm Hauchecorne (13 August 1828, Aachen, Germany – 15 January 1900, Berlin, Germany), Director of the Geological Survey and Mining Academy, Berlin, Germany. Millerite 3 photos of Hauchecornite associated with Millerite on mindat.org. Scheibe, R. (1888) Protokoll der sitzung vom 15 August 1888. Zeitschrift der Deutschen Geologischen Gesellschaft: 40: 610-618. Scheibe, R. (1893) Ueber hauchecornit, ein nickelwismuthsulfid von der Grube Friedrich. Jahrbuch der Königlich Preussischen Geologischen Landesanstalt und Bergakademie zu Berlin für das Jahr 1891: 12: 91-125. Peacock, M.A. (1950) Hauchecornite. American Mineralogist: 35: 440-446. Gait, R.I., Harris, D.C. (1972) Hauchecornite — antimonian, arsenian and tellurian varieties. The Canadian Mineralogist: 11: 819-825. Kocman, V., Nuffield, E.W. 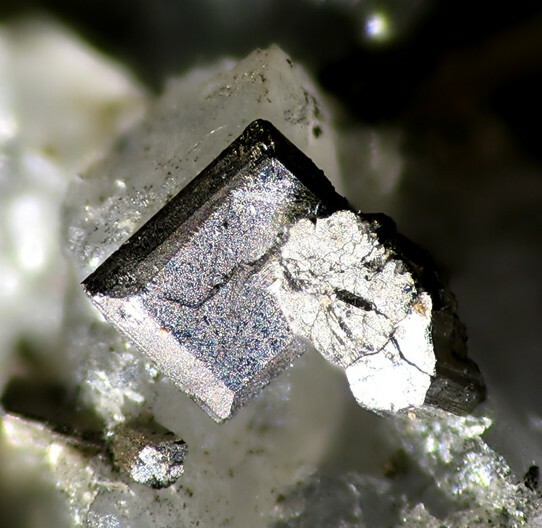 (1974) The crystal structure of antimonian hauchecornite from Westphalia. The Canadian Mineralogist: 12: 269-274. Kovalenker, V.A., Evstigneeva, T.L., Begizov, V.D., Vyal´sov, L.N., Smirnov, A.V., Krakovetskii, Y.K., Balbin, V.S. 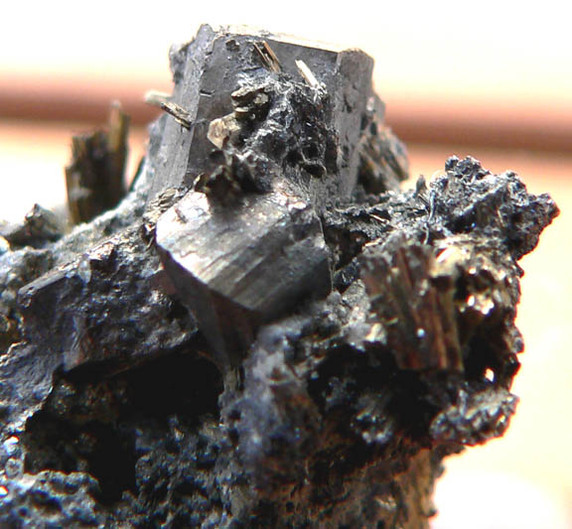 (1978) Hauchecornite from copper-nickel ores of the Oktyabr´skoe deposit (in Russian). Trudy Mineralogicheskogo Muzeya Fersman Akademiya Nauk SSSR: 26: 201-205. Just, J. (1980) Bismutohauchecornite - new name: hauchecornite redefined. Mineralogical Magazine: 43: 873-876. Fleischer, M., Pabst, A. (1981) New mineral names. American Mineralogist: 66: 436-439. The following Hauchecornite specimens are currently listed for sale on minfind.com. Badham, J. P. N. and Muda, M. M. Z, 1980, Mineralogy and Paragenesis of Hydrothermal Mineralizations in the East Arm of Great Slave Lake, Economic Geology, 75:1220-1238. WATKINSON, D.H., HESLOP, J.B. & EWERT, W.D. (1975) Nickel sulphide-arsenide assemblages associated with uranium mineralization, Zimmer Lake area, Northern Saskatchewan. Canadian Mineralogist 13, 198-204. Dana 6:1039; Dana 7:I:242,302; Min.Rec.:21:103. Stara, P., Rizzo, R., Tanca, G.A. (1996): Iglesiente e Arburese. Miniere e Minerali. Edito a cura dell'EMSA e "varie associazioni mineralogiche", Volume 2, 192 pp.